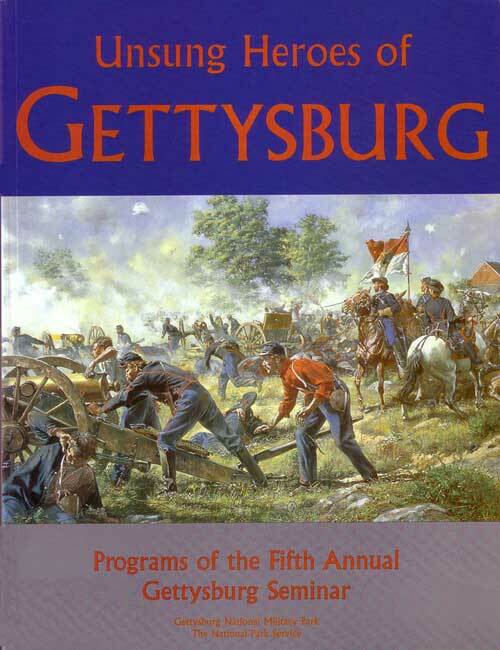 There have been thirteen Gettysburg Seminars 1992; the fourteenth will occur this April. The first seven were annual events; seminars eight through fourteen were held every even year. Beginning with the fourth seminar, the papers of the seminars were published in book format during the next year and the availability of these print copies have been sporadic. Now the books are available online in full text with images that include maps, photographs and sketches. Here is a list of the first thirteen seminars; it was with the fourth seminar that GNMP began publishing the papers. Papers for seminars one, two and three were not collected. 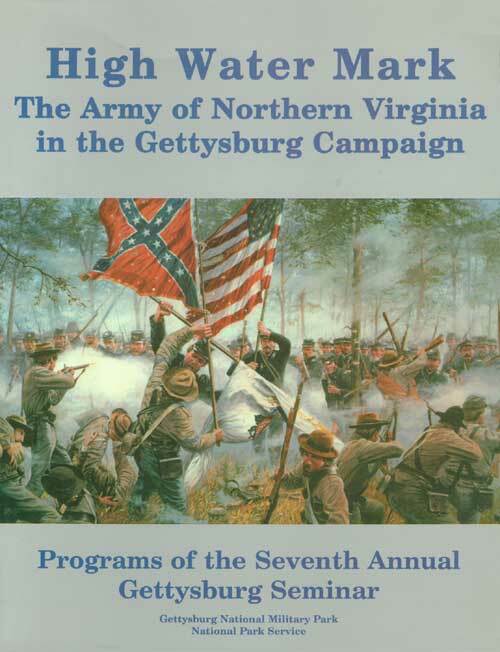 6 Mr. Lincoln’s Army: The Army of the Potomac in the Gettysburg Campaign. 12 The Fate Of A Nation: The Third Day at Gettysburg, July 3, 1863. 14 Gettysburg In History and Memory. Papers of the 2012 (14th) Gettysburg Seminar. April 13-15, 2012. 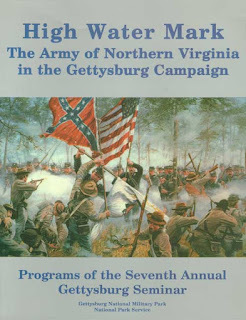 A sample of the contents include: "We Marched and Fought This Battle Without Baggage or Wagons", The Army of the Potomac's Logisticians during the Gettysburg Campaign by Mark A. Snell; "The Fate Of A Country," The Repulse of Longstreet's Assault by the Army of the Potomac, by D. Scott Hartwig; Richard Ewell, Robert E. Lee and Cemetery Hill: The Importance of Ewell's July 2 Attack on Cemetery Hill Has Been Missed, by Troy Harman; and Mahan At West Point, 'Gallic Bias' in the 'Old Army': The Subconscious of Leadership at Gettysburg, by Michael Phipps. News---1862 Person of the Year On American History TV, CSPAN3. AHTV Looks at "Person of the Year" for 1862, CSpan 3, Saturday February 25, 2012. Each year, Time magazine selects a person who had the most influence on events during the previous twelve months. If the same question were posed in 1862, who would Time have selected as the Person of the Year? Five historians will ponder that question and present their candidates for Person of the Year 1862 at a forum organized by Museum of the Confederacy and hosted by the Library of Virginia. American History TV will have LIVE coverage of the day-long event. Nominees are kept secret until the historians announce their candidates. At the end of the day the audience will vote on the nominees for Person of the Year 1862 and the winner will be announced. We’ll also open our phone lines and take tweets during the day so viewers can talk directly with the historians about their nominations, and propose their own candidates. This is the second forum of its kind by the Museum of the Confederacy & the Library of Virginia. Last year, the audience voted Abraham Lincoln as the winner of Person of the Year 1861. This year continues the 150th Anniversary of the Civil War, which lasted from 1861-1865. Can't argue with any of the nominations, though I think that the nomination of Jackson was light. But of course the event was sponsored by Virginians and the host mentioned VMI about ten times. If you invite one of the Kricks or Emory Thomas you know what they are coming with. I think McClellan's nomination by Mountcastle, a Virginian was a surprise but fair; Mountcastle, the presenter, is a U.S. Army brigadier general, so there you are. I enjoyed and agreed with McPherson's nomination of Farragut. New Orleans was the largest city in terms of population, the largest port, and the location of the U.S. Mint. The loss was as significant as the loss of Richmond would have been. Blight's nomination of Douglass was a fine effort and convincing but he made in the Q & A an egregious statement about the current Republican Party that was extraneous to conversation and cheapened his nomination of Douglass. For myself, Grant is worthy of a nomination. Grant's work at the Forts Henry and Donelson, the Battle of Shiloh, and the campaign that ended at Chickasaw Bluffs probably changed the war more than Jackson's Valley Campaign and Second Manassas. A Pennsylvania or New York sponsored event would come up with a different list of nominees. Invite presenters such and as Guelzo or Holzer and you would have foregone conclusions about a Lincoln nomination. Black History Museum Gets Special Opening Gift, Chip Reid, CBS News, February 22, 2012. Black History Month was marked in a very special way Wednesday. The president and the first lady attended the ground breaking for the National Museum of African-American History and Culture on the National Mall, where Martin Luther King's "I have a dream" speech still echoes. CBS News correspondent Chip Reid got a first look at some of the priceless artifacts the museum will hold. Charles Blockson, 78, has been collecting African and African-American artifacts for more than 50 years. The high point came just last year when he inherited 39 items that belonged to Harriet Tubman. Born into slavery, she escaped, but returned to the South nearly 20 times leading hundreds of others to freedom on what came to be known as the Underground Railroad. Some of Charles Blockson's ancestors were rescued by Tubman. "When I first received (her artifacts), I was surprised, shocked. Nearly every item I picked up I started to cry, the tears just, my emotional armor erupted," Blockson said. 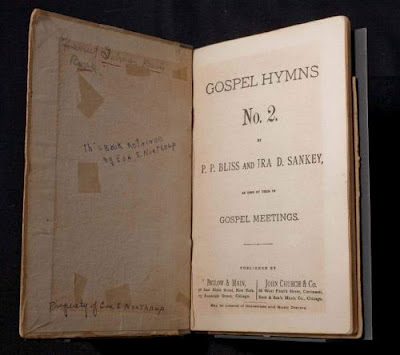 The items include a silk shawl that was given to Tubman by Queen Victoria, and Tubman's book of gospel hymns. Blockson, though, says it felt wrong to keep them, calling it "an awesome burden." So he donated the Tubman artifacts, most of them too fragile to be handled, to the National Museum of African-American History and Culture. "When he called and said, 'I have Harriet Tubman material,' I didn't believe him. When he pulled out the hymnal everyone started crying," said Lonnie Bunch, founding director of the museum. Charles Blockson has no regrets about giving up his priceless Tubman collection. "In the inner chambers of my soul I believe I did the right thing. They meant a lot but they weren't mine. They belong to the world," Blockson said. Harriet Tubman died 99 years ago. At long last her story and the story of the African-American people from slavery to segregation to civil rights and beyond will be told on the national mall, where America honors its heroes. Plans Progress in Congress for Tubman National Parks, Brian Shane, USA TODAY, February 22, 2012. Donald Pinder grew up hearing the stories of Harriet Tubman's determination to accomplish social change in the face of slavery. "She just knew there was something morally wrong with this institution of slavery," said Pinder, 60, president of the Cambridge, Md.-based Harriet Tubman Organization. 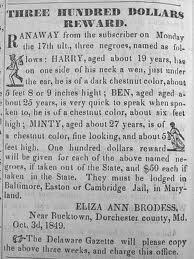 Pinder and his group seek to honor Tubman, an escaped slave who helped dozens of slaves find freedom through the network of safe houses called the Underground Railroad. A bill that would actually create two parks — one in Maryland and one in New York— made it out of the Senate Committee on Energy and Natural Resources in November and now awaits a full Senate vote. It's sponsored by Maryland Sens. Barbara Mikulski and Ben Cardin, and New York Sens. Charles Schumer and Kirsten Gillibrand, all Democrats. "We're very optimistic that it won't take long," said Cardin spokeswoman Susan Sullam. Rep. Andy Harris, R-Md., introduced a companion bill in the House in January. It is under review in a national parks subcommittee. "We just wanted Harriet Tubman's name and all of her works to get out there, so people could really realize who she was, other than just hearing the name, and somebody saying, 'I know her, she was an escaped slave,' " Pinder said. "This is why our organization has been part of this, so people cannot hear it as oral history but see it as written American history." He said his group's efforts began in the late 1990s, and led to a National Park Service study to see if history deemed Tubman worthy of her own park, "so people can find out the places she's been, the things she's done, the people she was connected with, the conversations that she had," Pinder said. The study, concluded in 2008, showed not only was Tubman worthy of one park, but two. The Harriet Tubman Underground Railroad National Historical Park would blanket 5,700 acres on Maryland's Eastern Shore where Tubman was born and raised. The Harriet Tubman National Historical Park would focus on her twilight years in Auburn, N.Y., where she died in 1913 at age 93. Other efforts are underway to honor Tubman in her home state. One Maryland state legislator is trying to get a statue of Tubman placed somewhere inside the U.S. Capitol, and is working toward a presidentially-declared Harriet Tubman Day. "She was, like, the classic over-achiever," Democratic Maryland state Delegate Susan Lee said. "She's one of the heroes of history." Lee said tourists from around the world would visit a national park area dedicated to Tubman, one where the landscape doesn't look so different from the 1850s, when she was leading slaves to freedom. New and Noteworthy----What Did Lincoln Read? 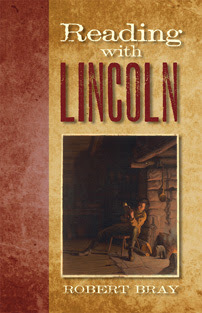 Reading With Lincoln, Robert Bray, Southern Illinois University Press, 272 pages, $29.95. Robert Bray’s Reading with Lincoln is a welcome addition to the endless list of Abraham Lincoln titles. Do we really need another book on Lincoln? The answer in this case is a resounding and somewhat ironic, yes. It turns out that we need a book on Lincoln and books. Bray has written a masterful account of Lincoln as a reader. The catalog of books he read is impressive and fascinating and gives a new window into the man. Lincoln was a classic autodidact and to journey through his life in books is to see his mind in formation and action. Bray has to do some speculation to fill in Lincoln’s library and what he actually read, but his guess work is honest and well grounded, giving his book some of the pace and interest of a mystery story. Lincoln was an eclectic reader and read low-brow regional humor as much as he did classics and William Shakespeare. Bray, through Lincoln, brings to life the lost world of publishing and reading taste in the mid-nineteenth century. Nothing ages faster and to its detriment more than humor writing and writing on popular politics and current events. Lincoln read deeply in such literature in his time. In reconstructing Lincoln’s studies Bray delivers a study of faded popular works, like those of Artemus Ward and Petroleum Vesuvius Nasby (David Ross Locke). Lincoln defied the educational snobbery and standards of his day and proselytized for regional humor and obscure Western political prose. His reading helped make him unique and also let him step into a more modern form of expression and communication confidently divorced from the long-winded, classical allusion-laden style of the politicians and academics who considered themselves his social and educational betters. This even came up in his cabinet where he regaled his colleagues with “low” humor tales taken from Ward and Nasby that mystified most of them and tried their patience. But with the benefit of hindsight we can see how Lincoln was developing a speaking, political, and writing style more attuned to the modern democracy he would not live to see. Lincoln built his own world of expression and knowledge over a long period. 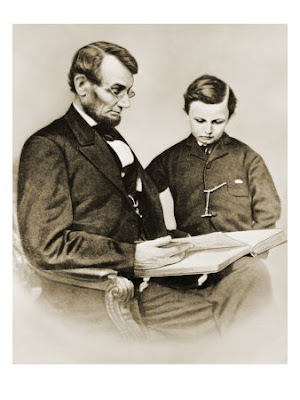 Lincoln’s self-education--and limited formal education--began with the moral didactics found in readers; grammars; popular versions of Aesop; and, of course, sermons and the Bible. If much of what constituted Lincoln’s early reading is guesswork, the books Bray discusses are still fascinating chances to speculate about the development of Lincoln’s mind. The roots of Lincoln’s religious skepticism are one such puzzle. Constantin de Volney’s writing on history, civilization, political philosophy, and theology in The Ruins (1791), now forgotten, clearly was a formative experience. Lincoln also read Thomas Paine and probably David Hume. The poetry of Robert Burns and Lord Byron--long emphasized by biographers of Lincoln--also get a strong analysis from Bray. Lincoln wrote his own poem in 1838, “The Suicide’s Soliloquy,” which was even darker than its title. In the realm of poetry, some authors have tried to link Lincoln’s modern sensibility to his reading Walt Whitman’s Leaves of Grass (1855), but Bray shows that this connection of the two great contemporaries is a fabrication. Lincoln read more obscure poets, like Thomas Hood, whose satirical tone he admired. In the books Lincoln read, both a satirical and serious vein shines through that mirrors the contours of his personality. As grammars were a key in his formative years, legal commentaries honed his early adult mind. He then turned his rational legal skills to dissecting human nature and creation itself. Robert Chamber’s Vestiges of Creation (1844) gave Lincoln grounding in radical science. He also read Theodore Parker and other theological radicals. In one of the strongest sections of the book, Bray shows how Lincoln’s views of humanity, religion, and politics found a chord in his eclectic mastery of Shakespeare. Many minds have found similar solace in the bard, but Bray’s most original and crowning achievement is his account of Lincoln’s love of low-brow regional humor, especially Ward and Nasby. Lincoln really comes alive through these authors whose rough humor he performed for White House colleagues. Lincoln’s psychology, as far as we can know it, in which high spirits and depressive near nihilism coexisted, reveals itself in these authors. They had humor but also a grim view of human motivations and abilities. It is a testament to Bray’s skill that Shakespeare, Paine, Byron, William Blackstone, Chambers, and the others set the stage for Ward and Nasby. Bray shows the reader the rough insight into human nature both in the popular comedy that Lincoln treasured and in the better known authors. Great ideas came to life in Lincoln’s bawdy jokes and jests, and that ability to inspire and instruct in a common medium was perhaps his greatest genius as a politician and a man. Bray is to be commended for his outstanding scholarship and lively presentation of Lincoln’s reading history. Lincoln spent a large portion of his life immersed in books. Bray shows that though we are immersed in Lincoln studies, a new Lincoln can still be unearthed. A man who studied so much merits much study, and Bray’s originality in doing so rewards his readers. 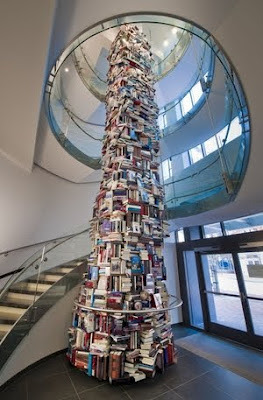 Forget Lincoln Logs: A Tower Of Books To Honor Abe, National Public Radio staff, February 20, 2012. This President's Day, a group of historians in Washington, D.C., decided they wanted to do something different to recognize the legacy of Abraham Lincoln. But how do you memorialize someone who is already one of the most memorialized people in history? Their solution: to physically illustrate Lincoln's importance by creating a tower of books written about him. The tower measures about eight feet around and 34 feet — that's three and a half stories tall. "It makes a real statement to anyone that this is an important guy and there was a whole lot written about him, and there continues to be a whole lot written about him," says Paul Tetreault, director of Ford's Theatre, where Lincoln was assassinated in 1865. The towering tribute to the 16th president rises up through the middle of a spiral staircase in the lobby of the new Ford's Theatre Center for Education and Leadership, located just across the street. Some 15,000 books have been written about Lincoln — more books, says Tetreault, than have been written about any other person in world history, with the exception of Jesus Christ. Nearly 7,000 of these books are contained in the tower. They even look authentic up close (click here to get a closer look) but the tower's books are actually replicas made of pieces of bent aluminum, with the covers of the real books printed on them. "There are books here for people of all ages," says Tetreault. "There's young people's books, there's an Abraham Lincoln stickers book, there's an Abraham Lincoln coloring book. And then of course there's all of the bestsellers: David Herbert Donald's great book about Lincoln, Doris Kearns Goodwin's book Team of Rivals — all of these major scholars who've written about Abraham Lincoln, they're all contained in this stack." German Soldiers Preserved In World War I Shelter Discovered After Nearly 100 Years, The Telegraph, February 13, 2012. Twenty-one German soldiers entombed in a perfectly preserved World War One shelter have been discovered 94 years after they were killed. The men were part of a larger group of 34 who were buried alive when an Allied shell exploded above the tunnel in 1918 causing it to cave in. Thirteen bodies were recovered from the underground shelter but the remaining men had to be left under a mountain of mud as it was too dangerous to retrieve them. Nearly a century later French archaeologists stumbled upon the mass grave on the former Western Front during excavation work for a road building project.Many of the skeletal remains were found in the same positions the men had been in at the time of the collapse, prompting experts to liken the scene to Pompeii. A number of the soldiers were discovered sitting upright on a bench, one was lying in his bed and another was in the foetal position having been thrown down a flight of stairs. As well as the bodies, poignant personal effects such as boots, helmets, weapons, wine bottles, spectacles, wallets, pipes, cigarette cases and pocket books were also found. Even the skeleton of a goat was found, assumed to be a source of fresh milk for the soldiers. Archaeologists believe the items were so well preserved because hardly any air, water or lights had penetrated the trench. The 300ft long tunnel was located 18ft beneath the surface near the small town of Carspach in the Alsace region in France. Michael Landolt, the archaeologist leading the dig, said: "It's a bit like Pompeii. Everything collapsed in seconds and is just the way it was at the time. Here, as in Pompeii, we found the bodies as they were at the moment of their death. Some of the men were found in sitting positions on a bench, others lying down. One was projected down a flight of wooden stairs and was found in a foetal position." "The collapsed shelter was filled with soil. The items were very well preserved because of the absence of air and light and water. Metal objects were rusty, wood was in good condition and we found some pages of newspapers that were still readable. Leather was in good condition as well, still supple. The items will be taken to a laboratory, cleaned and examined." 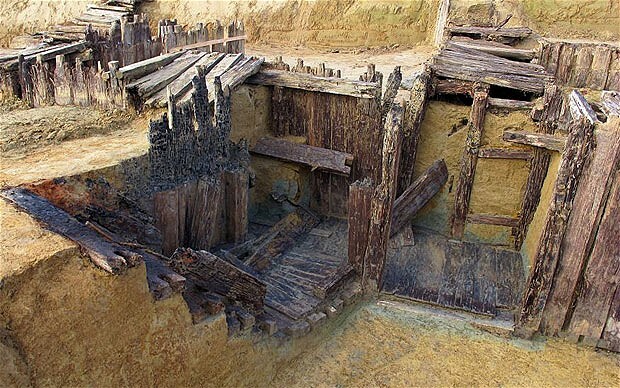 Archaeologists also uncovered the wooden sides, floors and stairways of the shelter that The dead soldiers were part of the 6th Company, 94th Reserve Infantry Regiment. Their names are all known. They include Musketeer Martin Heidrich, 20, Private Harry Bierkamp, 22, and Lieutenant August Hutten, 37. Their names are inscribed on a memorial in the nearby German war cemetery of Illfurth. The bodies have been handed over to the German War Graves Commission but unless relatives can be found and they request the remains to be repatriated, it is planned that the men will be buried at Illfurth. The underground tunnel was big enough to shelter 500 men and had 16 exits. It would have been equipped with heating, telephone connections, electricity, beds and a pipe to pump out water. The French attacked the shelter on March 18, 1918 with aerial mines that penetrated the ground and blasted in the side wall of the shelter in two points. It is estimated that over 165,000 Commonwealth soldiers are still unaccounted for on the Western Front. From the Publisher: When the Civil War began, Northern soldiers and civilians alike sought a framework to help make sense of the chaos that confronted them. Many turned first to the classic European military texts from the Napoleonic era, especially Antoine Henri Jomini's Summary of the Art of War. As Carol Reardon shows, Jomini's work was only one voice in what ultimately became a lively and contentious national discourse about how the North should conduct war at a time when warfare itself was rapidly changing. She argues that the absence of a strong intellectual foundation for the conduct of war at its start--or, indeed, any consensus on the need for such a foundation--ultimately contributed to the length and cost of the conflict. Reardon examines the great profusion of new or newly translated military texts of the Civil War years, intended to fill that intellectual void, and draws as well on the views of the soldiers and civilians who turned t them in the search for a winning strategy. In examining how debates over principles of military thought entered into the question of qualifications of officers entrusted to command the armies of Northern citizen soldiers, she explores the limitations of nineteenth-century military thought in dealing with the human elements of combat. Carol Reardon is George Winfree Professor of American History at Pennsylvania State University and author of Pickett's Charge in History and Memory. News---Will the GBPA Store The Electric Map At Daniel Lady Farm? A preservation group has offered to store the Electric Map of the Gettysburg battlefield as part of an effort to save the popular attraction. Gettysburg National Military Park officials recently announced they were considering disposing of the Electric Map because it’s too large to display in the new Museum & Visitor Center. Park officials also believe it lacks the interpretive value of other attractions. 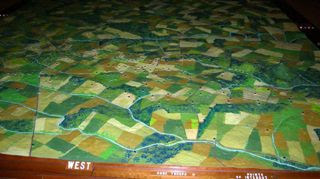 In response, the Gettysburg Battlefield Preservation Association has offered to store the map. “It would be great if we could see the map return,” association President Brendan Synnamon said. “Losing the foot traffic from the old visitor’s center was a severe blow to borough merchants.” The map is 30 squarefeet in size and contains about 625 flashing lights used to depict formations and troop movements from the Battle of Gettysburg. Still, the map is more than 60 years old and contaminated with friable asbestos. The initial response from the (park) was that the asbestos factor is going to hold up a decision on disposal of the map for months so the map isnt in imminent danger, Synnamon explained. That will give our board of trustees (time) to consider the feasibility of storage and restoration. The map and its small amphitheater were added to the parks old visitor center in 1963 as part of the commem oration of the 100th anniversary of the battle. But it was not included in the new Museum & Visitor Center that opened three years ago. The map was disassembled and placed in storage. Synnamon said it would be nice to see the attraction restored for the anniversary of the Battle of Gettysburg next year. What better way to observe Gettysburgs 150th than a united campaign to restore this (map) that has educated many thousands of Americans, young and old, about how the Battle of Gettysburg played out. The very features that made the Electric Map a favorite among Gettysburg tourists might also bring about the end of the nostalgic attraction. Thirty square-feet in size, the map was just too large to be housed in the new Museum & Visitor Center, according to battlefield officials. To fans, its appeal is decidedly low-tech and kitschy. To officials, the map is outdated. It contains about 625 flashing lights that depict battle formations and troop movements. But the display lacks the interpretive value of the 20-minute movie narrated by Morgan Freeman at the Museum & Visitor Center, according to Gettysburg National Military Park officials. Battlefield Superintendent Bob Kirby recently announced that the park is considering disposing of the map. But not because the attraction, more than 60 years old, is contaminated with friable asbestos, according to information released by park officials. In a friable condition, asbestos fibers when dry easily can be crumbled and released into the air, from where they can be inhaled or ingested. "Issues related to interpretive value and operational costs have been the two determining factors," stated an email from park spokeswoman Katie Lawhon. "The asbestos is only a topic now because we may have to consider it as we (sell or give away) the Electric Map." The map was mothballed in 2009, after the new Museum & Visitor Center opened. Before that, it was restored in 1963 for the 100th anniversary of the Battle of Gettysburg. And more than 2 million people are believed to have watched the display of colored lights. Kirby is working to determine the most environmentally appropriate and legal way to dispose of the map. Similarly, the Park Service is planning the disposition process and more details are expected in the coming weeks. Other battlefields -- nearby Monocacy outside Frederick, Md., for example -- still use such maps to depict fighting. When the new Museum & Visitor Center opened, the map was replaced with the movie, "New Birth of Freedom." The Gettysburg Foundation operates the visitor center and is storing the map. Foundation spokeswoman Cindy Small said the location is secret to keep the map "safe and secure." At the old visitor center on Taneytown Road, the map could be viewed by the public for $4 a ticket. Park officials ultimately decided not to reopen the exhibit at the new site on Baltimore Pike. They cited a lack of interest from the public and an opportunity for new technology. This letter -- which is 100% legitimate -- "makes the rounds" every once in a while over the 147 years since it was first published in an Ohio paper, then copied in the NY Tribune, then in Lydia Maria Child's Freedmen's Book. In fact, it was oft-reprinted in a variety of publications between 1865-67, including in French. Then again during the 1960s/1970s. And again in the internet age. Jordan (how his name was really spelled) and P.H. Anderson were real people. 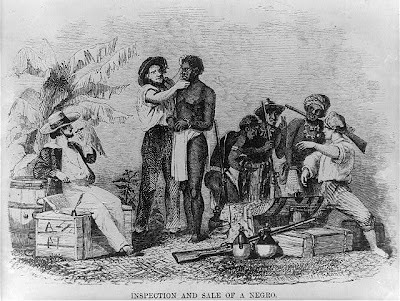 I've traced them and their story and am writing a book on both men and the letter. It's a fascinating story. P.H. Anderson was "hip deep" in debt in August 1865 and had written Jordan, who had played a slave "managerial" role at Big Springs, to return I'm sure to help get in the harvest, help recruit back some of the slave laborers who had fled the plantation for nearby towns, and save the old plantation. Jordan didn't return, the plantation was lost, and P.H was dead by 1867. Jordan and his family lived in Dayton, Ohio, from 1864 until his death in the early 20th century. He worked for the V. Winters mentioned in the letter. makes it new to new people, which is of course what the internet does. Leon Litwack reprinted it in full in his book Been in the Storm So Long, which is I believe the first place I saw it. For those who may not have taught the letter, read it out loud to your students. It has a special poignancy when taught that way. And good luck Roy; what a great idea for a book about emancipation and its aftermath in microcosm. News---Will Gettysburg's Famed Electric Map Become Hazardous Waste? The final fate of Gettysburg's Electric Map as yet to be decided, according to battlefield Superintendent Bob Kirby. But the map is "infused with asbestos," Kirby said in an email, and he must "determine the most environmentally appropriate and legal way" to dispose of it. Kirby sent the email in response to earlier reports the map was to be destroyed. 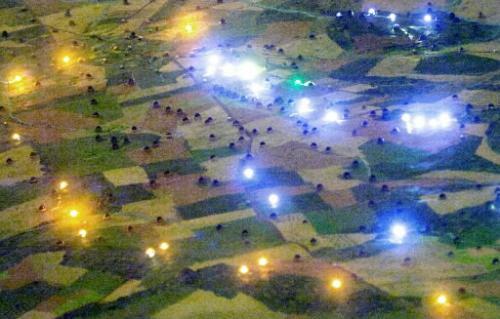 Created in 1963 for the 100th anniversary of the great battle, the map depicts troop movements with colored lights flashing across its topographically accurate surface. Other battlefields - nearby Monocacy outside Frederick, Md., for example - still use such maps to depict fighting and troop movements. 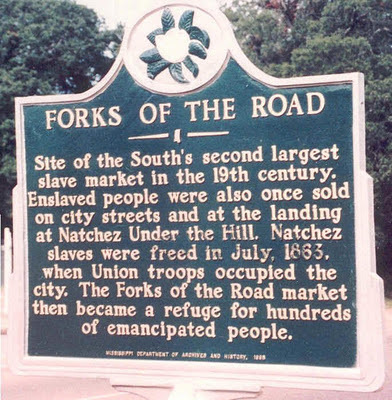 But when the new visitors center opened in 2009, the map was replaced with a 20-minute movie, "New Birth of Freedom," narrated by Morgan Freeman. The map, in pieces, now sits in storage; the Park Service has offered to give it away, but has said in the past it can't find a taker with the space to display it. Years after its closure, the map remains dear to many longtime battlefield visitors, and people reportedly still ask to see it. The letter, printed (as others have noted) in The New York Daily Tribune on 22 August 1865 ("Letter from a Freedman to his Old Master," p. 7), is prefaced with, "The following is a genuine document. It was dictated by the old servant, and contains his ideas and forms of expression. -- Cincinnati Commercial." In the summer of 1865, a former slave by the name of Jourdan Anderson sent a letter to his former master. And 147 years later, the document reads as richly as it must have back then. The roughly 800-word letter, which has resurfaced via various blogs, websites, Twitter and Facebook, is a response to a missive from Colonel P.H. Anderson, Jourdan's former master back in Big Spring, Tennessee. Apparently, Col. Anderson had written Jourdan asking him to come on back to the big house to work. In a tone that could be described either as "impressively measured" or "the deadest of deadpan comedy," the former slave, in the most genteel manner, basically tells the old slave master to kiss his rear end. 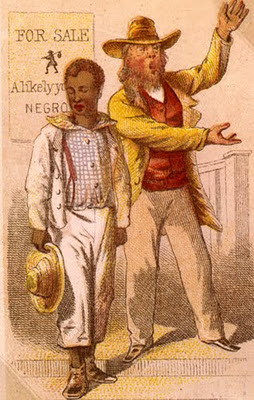 He laments his being shot at by Col. Anderson when he fled slavery, the mistreatment of his children and that there "was never pay-day for the Negroes any more than for the horses and cows." Below is Jourdan’s letter in full, as it appears on lettersofnote.com. To take a look at what appears to be a scan of the original letter, which appeared in an August 22, 1865 edition of the New York Daily Tribune, click here. As Letters Of Note points out, the newspaper account makes clear that the letter was dictated. As to my freedom, which you say I can have, there is nothing to be gained on that score, as I got my free papers in 1864 from the Provost-Marshal-General of the Department of Nashville. Mandy says she would be afraid to go back without some proof that you were disposed to treat us justly and kindly; and we have concluded to test your sincerity by asking you to send us our wages for the time we served you. This will make us forget and forgive old scores, and rely on your justice and friendship in the future. I served you faithfully for thirty-two years, and Mandy twenty years. At twenty-five dollars a month for me, and two dollars a week for Mandy, our earnings would amount to eleven thousand six hundred and eighty dollars. Add to this the interest for the time our wages have been kept back, and deduct what you paid for our clothing, and three doctor's visits to me, and pulling a tooth for Mandy, and the balance will show what we are in justice entitled to. Please send the money by Adams's Express, in care of V. Winters, Esq., Dayton, Ohio. If you fail to pay us for faithful labors in the past, we can have little faith in your promises in the future. We trust the good Maker has opened your eyes to the wrongs which you and your fathers have done to me and my fathers, in making us toil for you for generations without recompense. Here I draw my wages every Saturday night; but in Tennessee there was never any pay-day for the negroes any more than for the horses and cows. Surely there will be a day of reckoning for those who defraud the laborer of his hire. Gettysburg’s new Seminary Ridge Museum, slated to open in time for the 150th anniversary of the Battle of Gettysburg, announced today that Ms. Barbara Franco will serve as its first Executive Director of the Museum. Barbara Franco is nationally recognized as a leader in the history museum field and has served as a past Chairman of the American Association for State and Local History. She brings a wealth of experience in historical interpretation and the opening and operation of new museums. She has been actively involved in planning for the Civil War 150th Anniversary at both the national and state level. A graduate of Bryn Mawr College and the Cooperstown Graduate Program, Franco has led museum programs in Massachusetts, Minnesota and Washington, D.C. Most recently, she served for nearly 8 years as the executive director of the Pennsylvania Historical and Museum Commission. 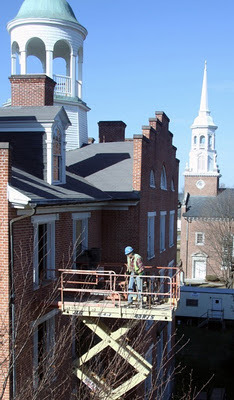 Gettysburg’s Seminary Ridge Museum is currently under construction in preparation for opening in the spring of 2013. The exhibits will interpret the dramatic developments of the first day of battle, including the pivotal role of the building and its cupola used as lookout by General Buford and others, its conversion to field hospital for more than 600 wounded, and the moral and religious tensions around slavery, African-American history and the local work the Underground Railroad. The interpretations will include video productions, ambient and visitor selected audio programs, artifacts, original murals by Dale Gallon and multi-generational experiences in more than 16 thousand square feet, plus a special ticketed tour of its famous cupola. Bradley R. Hoch MD, representing the management committee of the museum project, said: “Barbara Franco's skill, experience and proven success in museum creation are nationally recognized. She is the right executive director to open Gettysburg’s Seminary Ridge Museum, and we indeed are very fortunate." She is recognized as a national leader in history museums and is a past chairman of the American Association for State and Local History. Since 1997, she has been a faculty member of the Seminar for Historical Administration, teaching a course on “Managing Change” in historical museums and institutions. Ms. Franco has had extensive experience in exhibition development, published catalogues, articles, and given presentations on a number of topics that include historical interpretation, museum practice and historical research. She has been actively involved in heritage tourism development and in state and national planning for the 150th anniversary of the American Civil War. 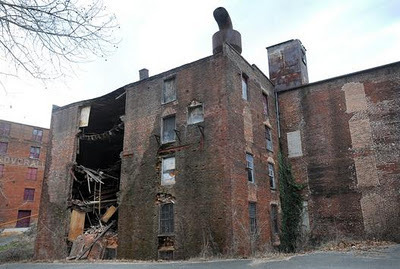 Most of Lynchburg’s warehouses-turned-hospitals were demolished in later decades. Houck said the Dunbar Drive warehouse, known as the Miller Building, had a particularly unusual background because it also served as a morgue during the war. “It’s too bad we’re losing our history this way,” he said, adding the cost of restoring buildings like these is often prohibitive. “We have a hard enough time keeping up major historic sites like Poplar Forest and Point of Honor and Sandusky. It takes a lot of work on a lot of people’s part. So, unfortunately, places like the Miller Building can just end up being neglected.” The Morris family has been conscientious about maintaining the other building, Houck added, and hopefully will preserve it. The owner of the Dunbar Drive building, Harold Gibson, of Seneca, S.C., said his family had been looking to gauge interest in the building for its historical value, but the economic climate had made selling it impossible. Gibson said he bought the building from his son, Leland Gibson, who had purchased the building as a warehouse for his heating and air conditioning business in Lynchburg before he moved back to South Carolina. “I wanted to get him some capital to be able to operate with,” Harold Gibson said, “so I bought it from him until he was able to re-purchase it back.” The transfer never happened. City records indicate Harold Gibson bought the building in 2002, for $128,775. Leland Gibson bought the property in 1999 for $35,000. Harold Gibson said his son was traveling to Lynchburg on Wednesday to handle things for the family. “I’m sure it’s going to have to be demolished,” he said. The family didn’t have a timetable for tearing it down, he said, and would be working with the city to determine that. “Our major concern right now is safety ... and then make arrangements probably to demolish it.” He said the loss would be a substantial financial hit for his family, since the building can’t be sold. “I have a mortgage on it, and the cost of demolition,” he said. “It will hit us pretty hard ... I don't know what the demolition costs might be.” Ginther said the building is unstable and could possibly collapse into Dunbar Drive, a bus route used by Paul Laurence Dunbar Middle School for Innovation. The road will remain closed until the building is demolished. Though the structure bore a Civil War Trails marker, it was not listed on the National Register of Historic Places, city officials said. Ginther said the building was braced years ago, but has been deteriorating from leaks in the roof and general lack of upkeep.